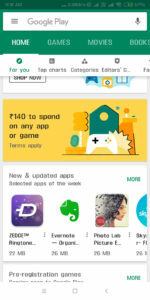 Today I Just found that Google Play Store has Credited Some Amount to All Android Device Linked Playstore Accounts. 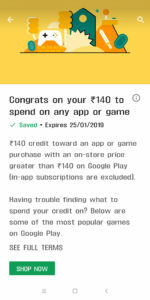 You May get any amount between Rs.20-140 to Spend on Apps & Games. You Can Purchase Upgrades in App Using these Credits.Using these credits, You can buy anything from playstore which is lesser than the current rewards for free. The Offer is available for selected users so if you want to buy a premium App go for it just open your Playstore. 1) Open Playstore & Scroll Down. 4) Claim the Reward balance now, it Will be Credited to your Playstore Reward section. 5) Now Once you have Credits in your wallet use this amount to buy Apps & Games from Playstore. 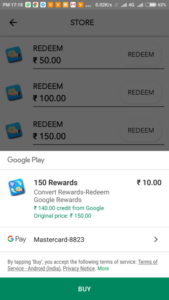 6) You can Also check the rewards from Playstore Side menu >> Account>>Rewards>>Your Reward balance. 1 .Install Convert Rewards App From Here. 2. 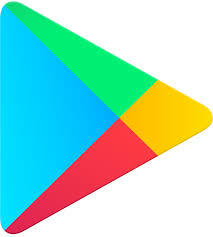 Open app and Register with your Google Profile which have Rs.140 Rewards. 3 . Click on Convert your Rewards Option. 4 . Select your Receive Payment Option as PayTM and Convert your Rewards. 5 . Complete your Payment and Enter your PayTM Details and Boom! 1. Its a Risky Process. 2. Proceed only, if you want to risk your Rs 10. 3. Keep Patience and wait for 15 days. Don’t expect instantly or within 3-4 days. Is 140 rewards = 10rs.? 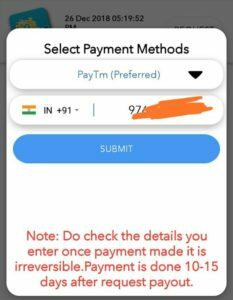 I mean after 15days I will get 10rs in my paytm account.? i have 2 gmail ids in my mobile. 2 rewards in my play store. how can i redeemed this 2 reward points? i try this method in my one of my gmail id. pending for request.